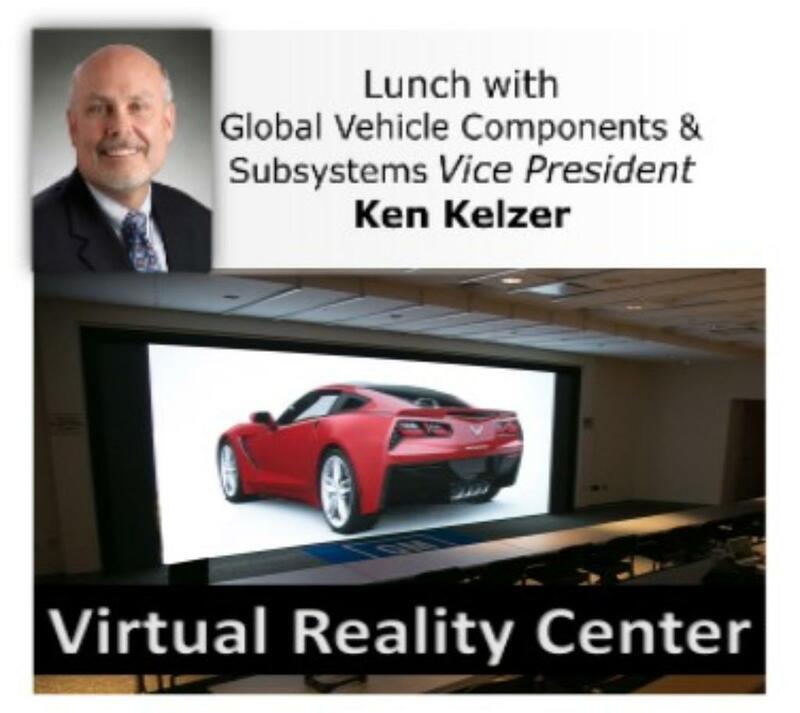 Lunch with Ken Kelzer, Vice President of Global Components and Subsystems in the Detroit, MI area followed by 2 hour virtual Reality Center Tour in Warren, MI. View GM’s technology in enhancing computer vehicles as used in a virtual assessment. Tour includes: Virtual cave - Come take a ride in a virtual vehicle. Virtual wall- A full vehicle (IMAX) experience like you have never seen it before. Lunch location to be selected by Ken.